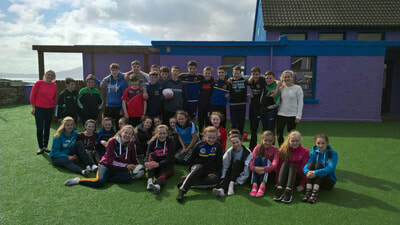 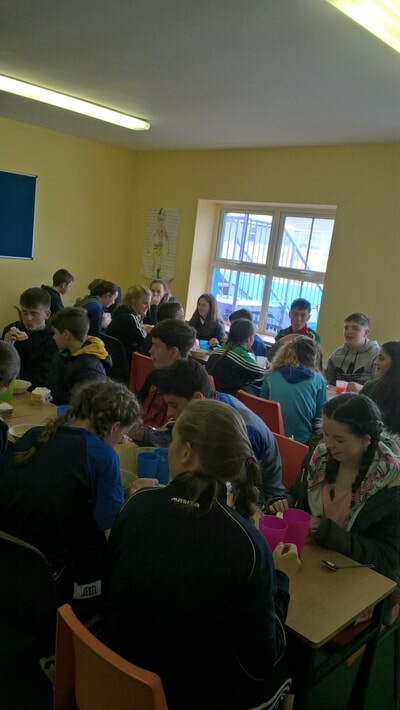 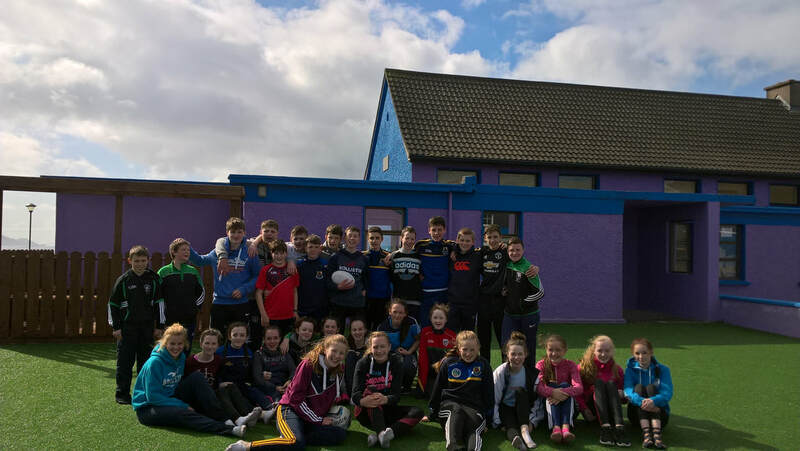 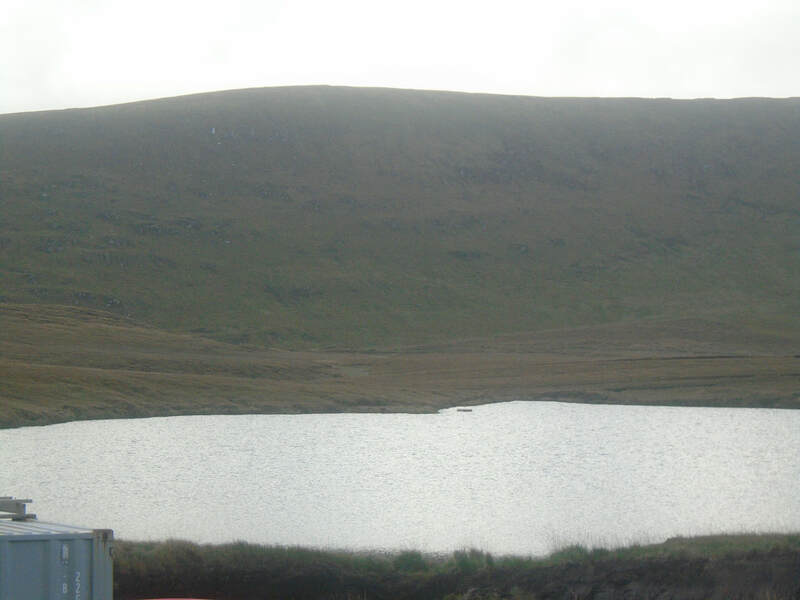 32 students from St. Aidan’s Comprehensive School in Cootehill recently embarked on a tour to the Gaeltacht. 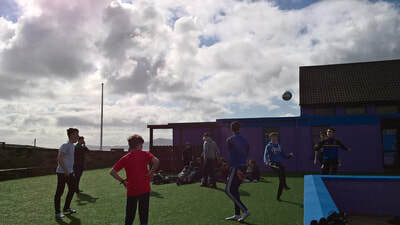 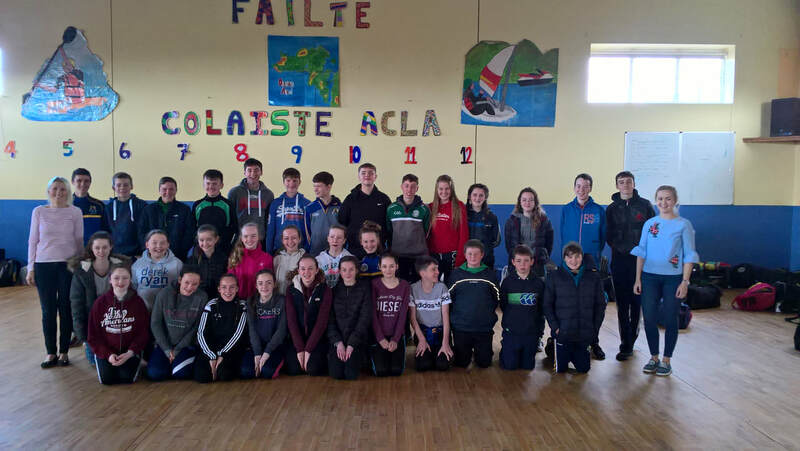 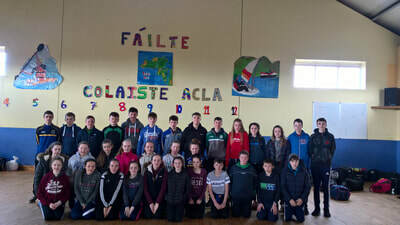 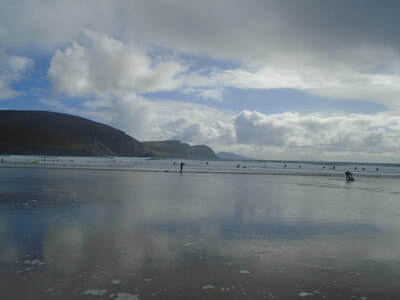 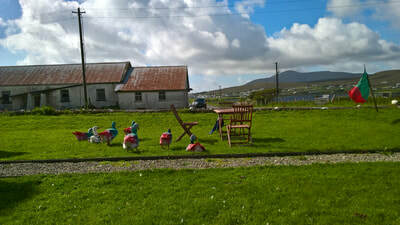 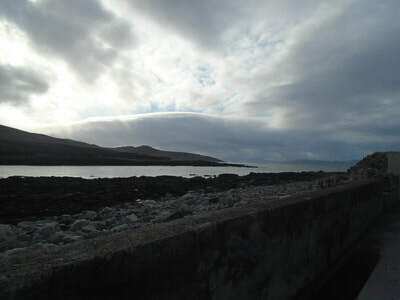 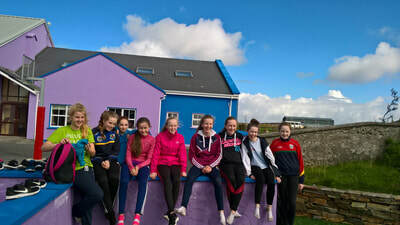 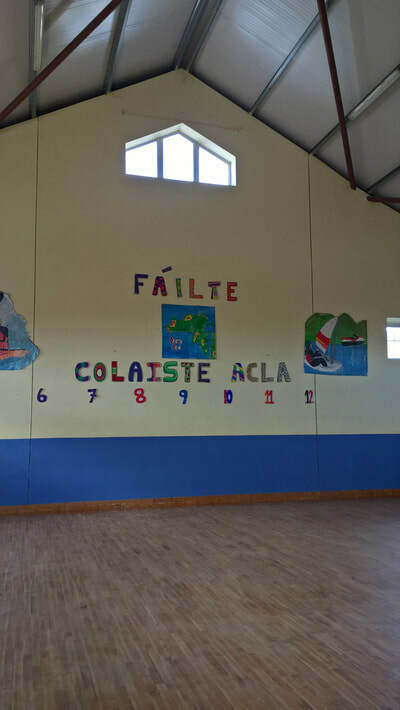 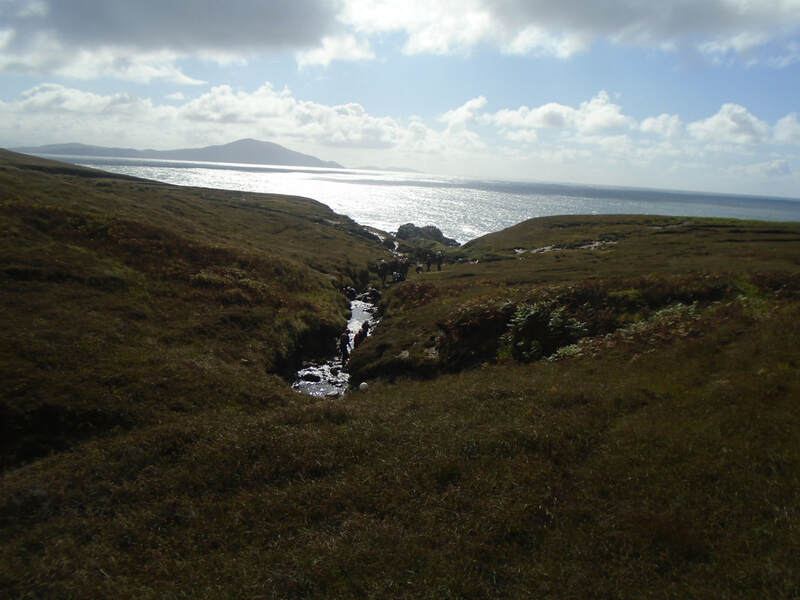 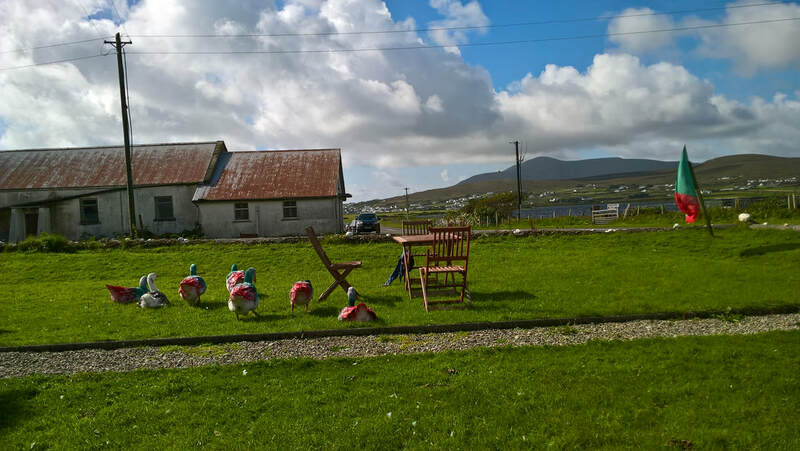 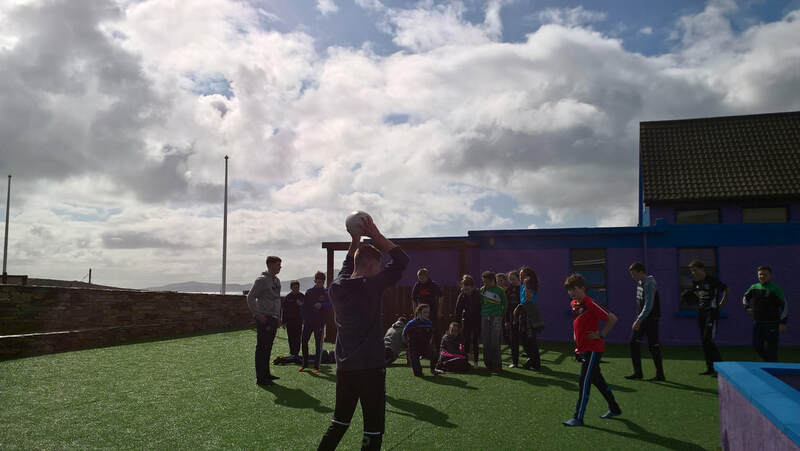 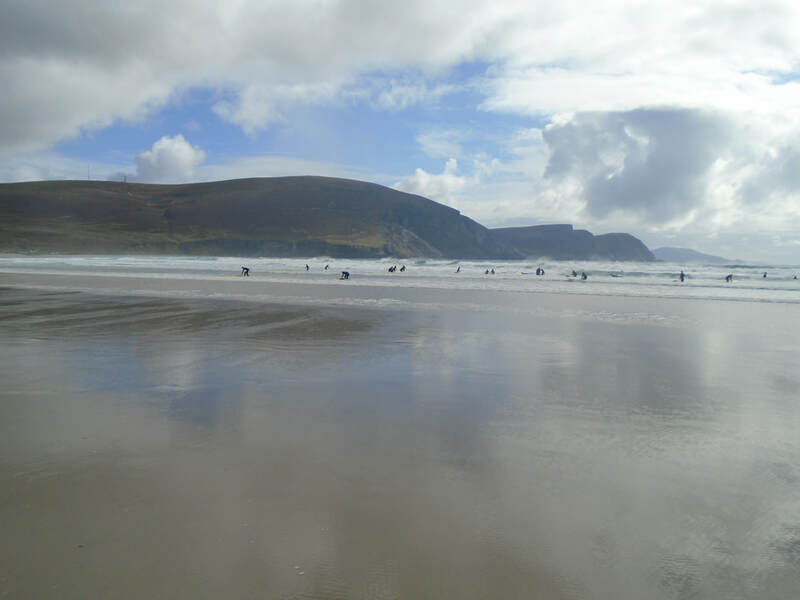 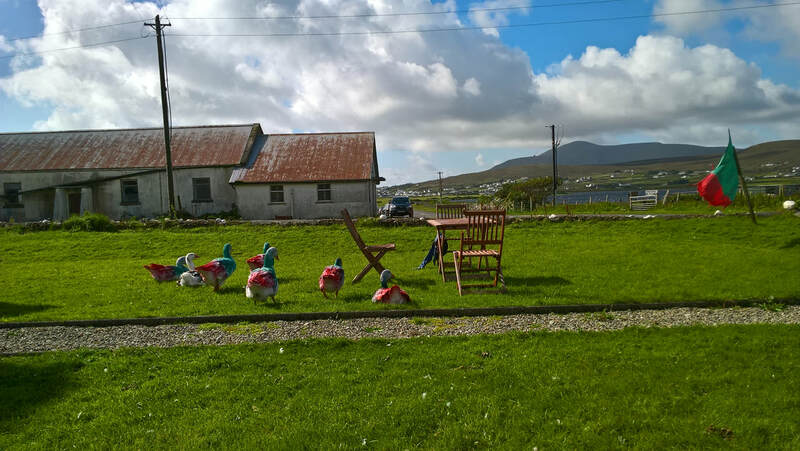 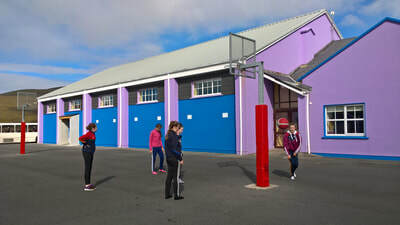 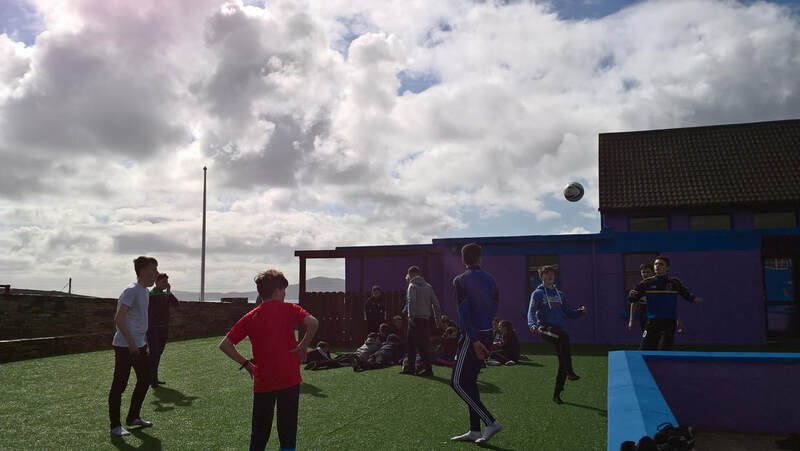 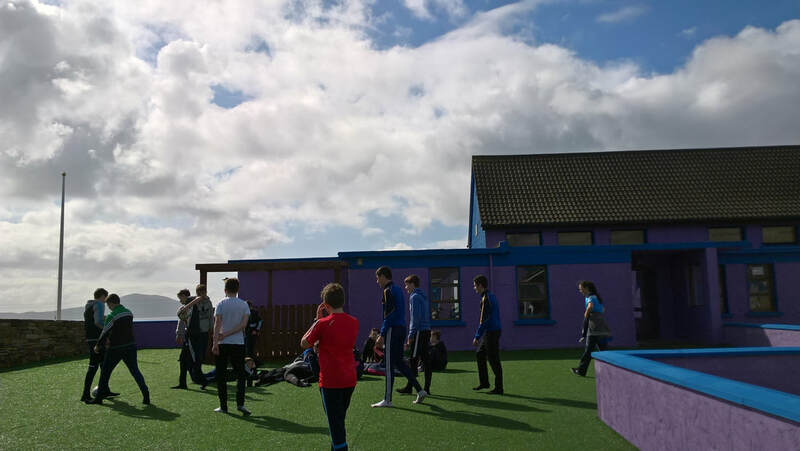 Ms. Scanlon and Ms. Cullen accompanied the students to Coláiste Acla on Achill Island in Mayo for three days packed full of activities and lots of Gaeilge. 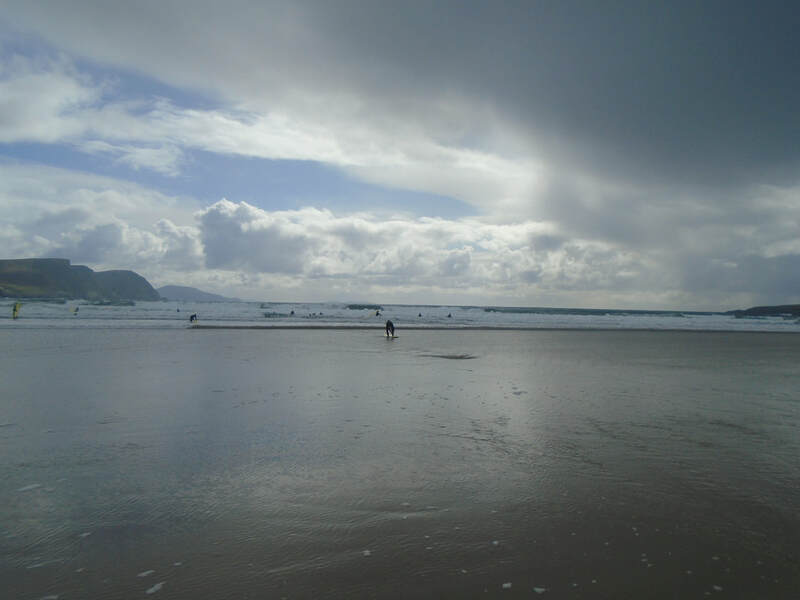 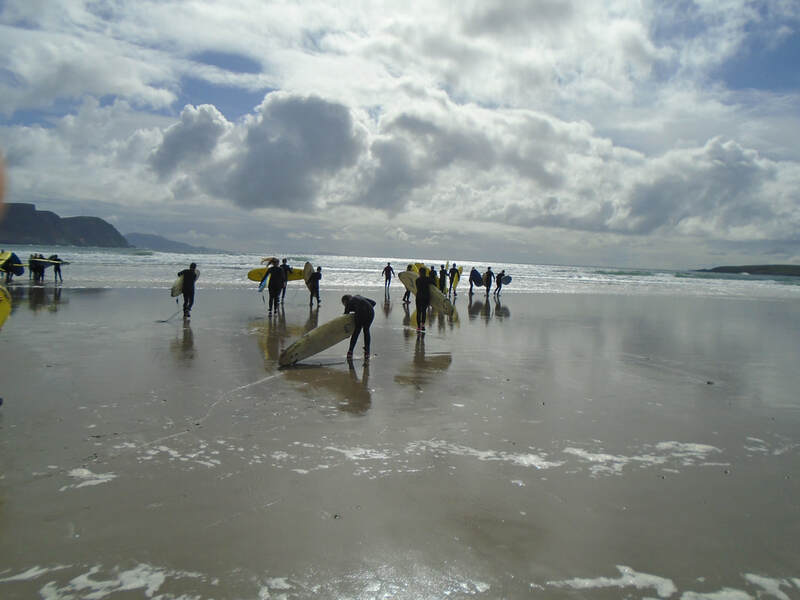 Upon arrival the students headed to the beach to try their hand at surfing! 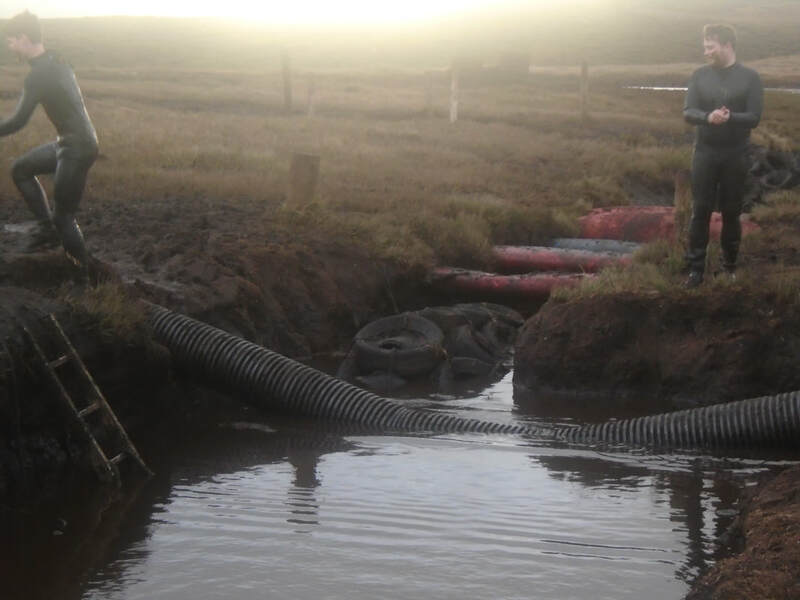 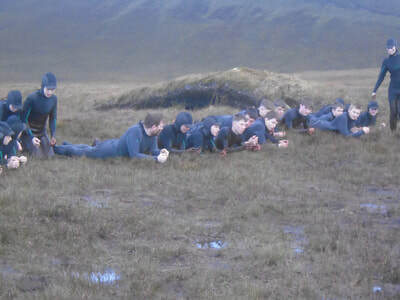 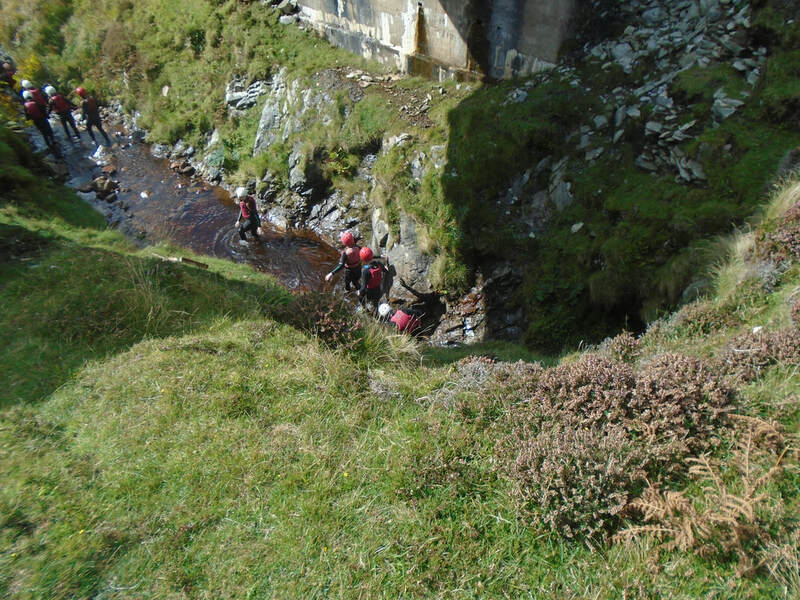 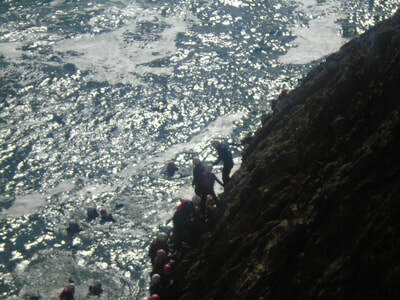 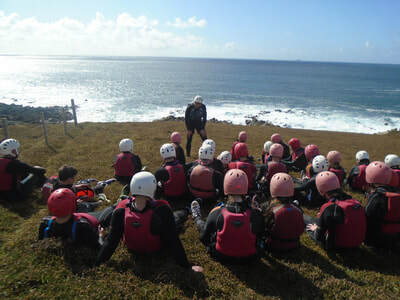 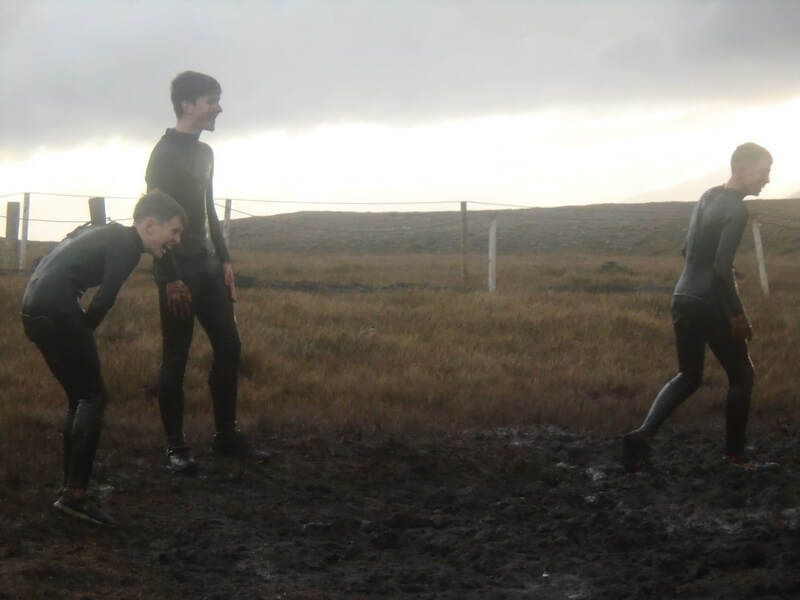 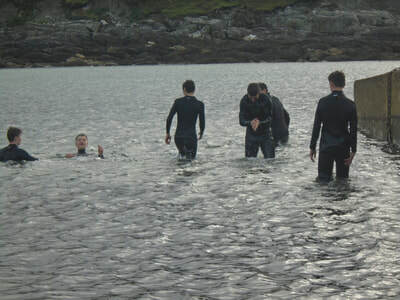 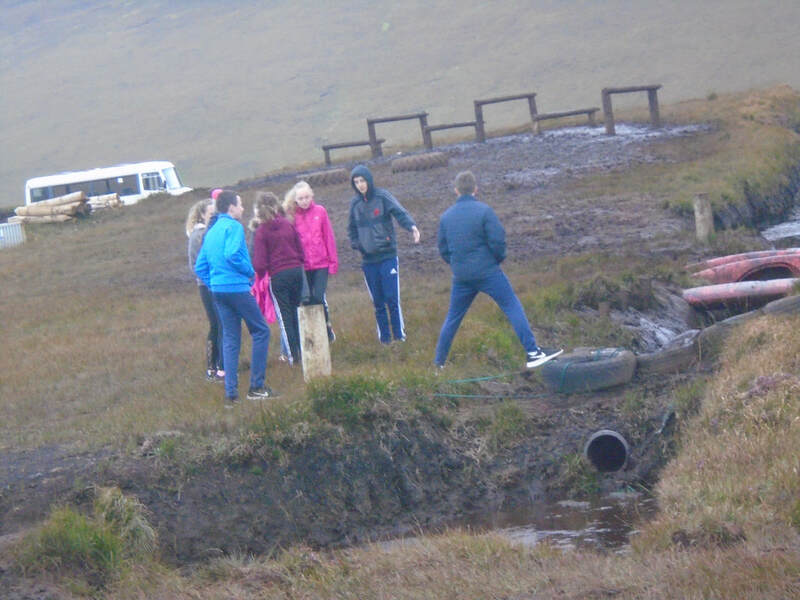 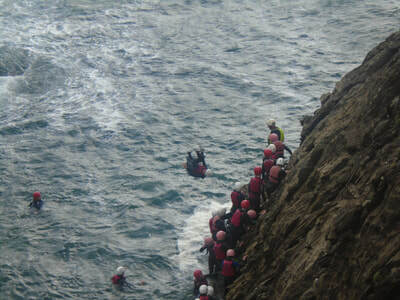 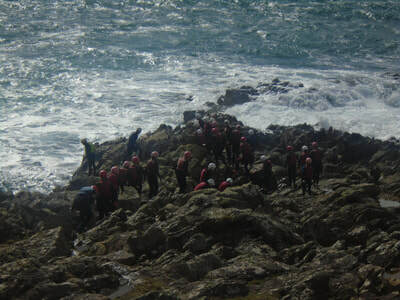 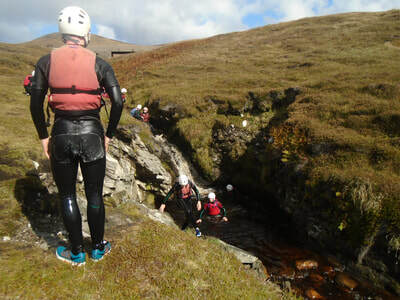 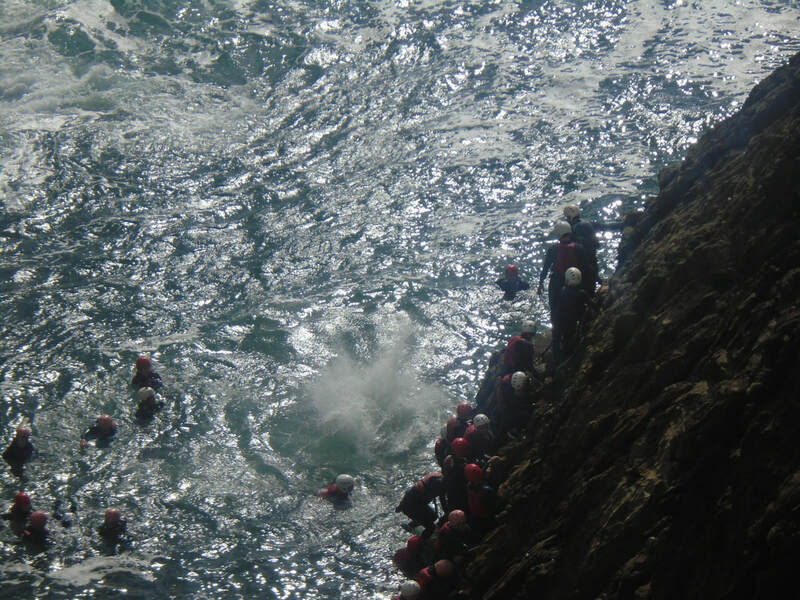 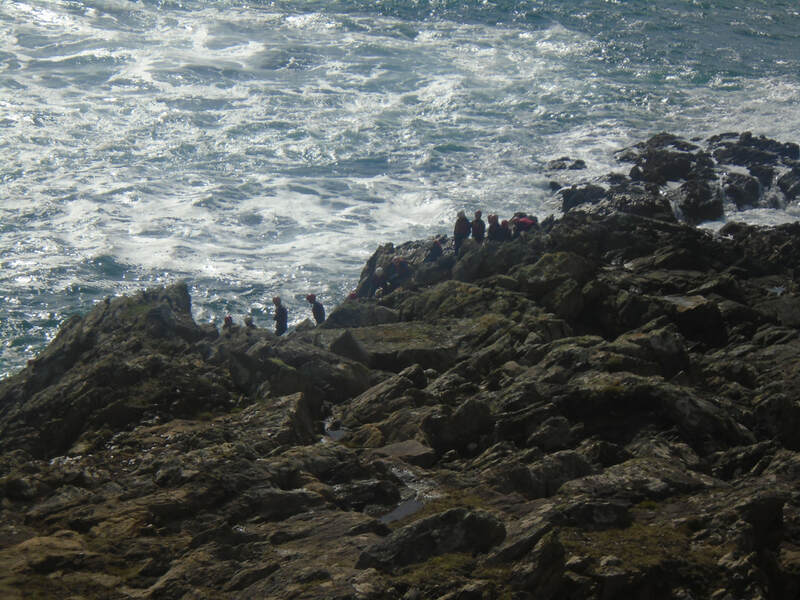 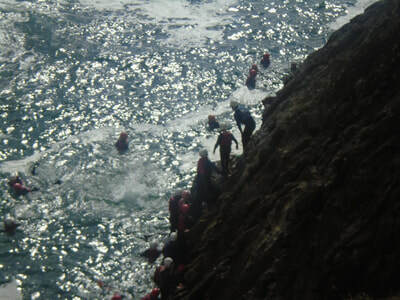 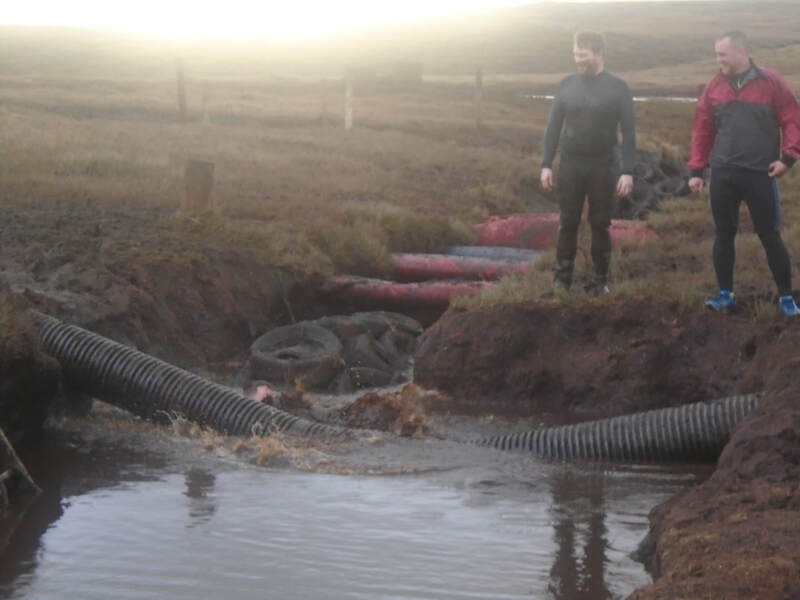 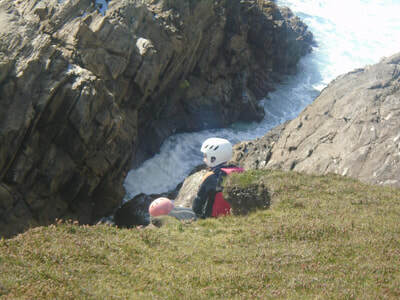 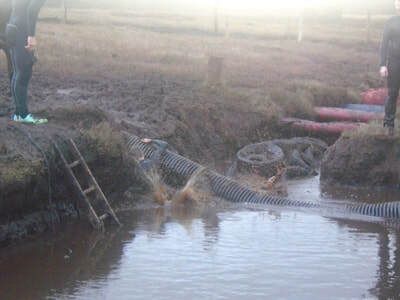 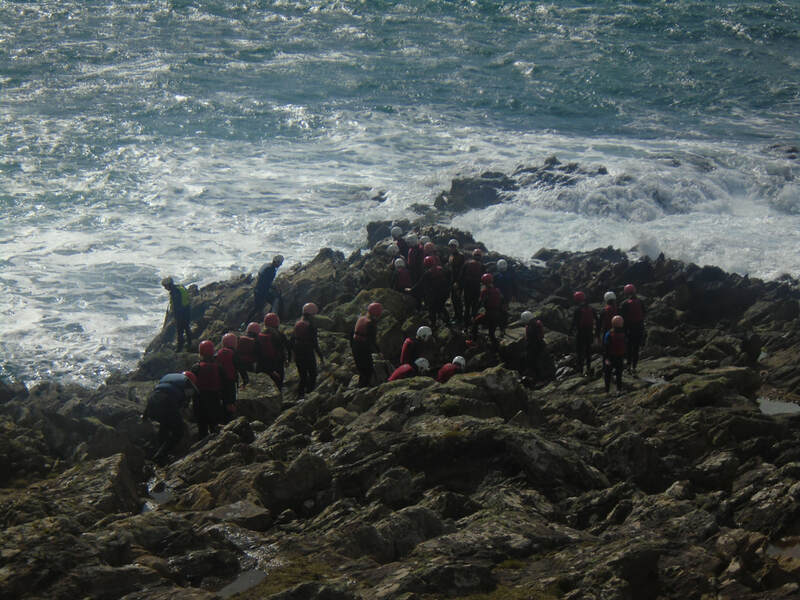 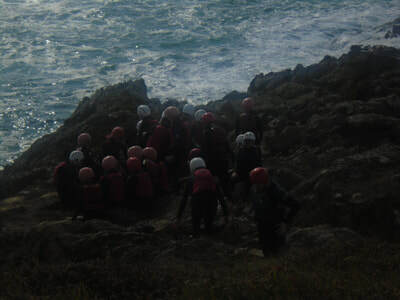 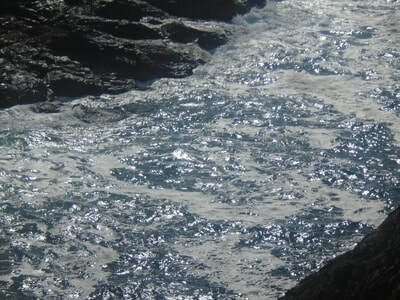 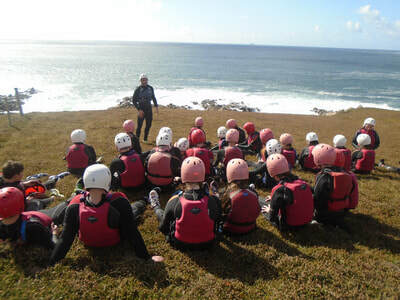 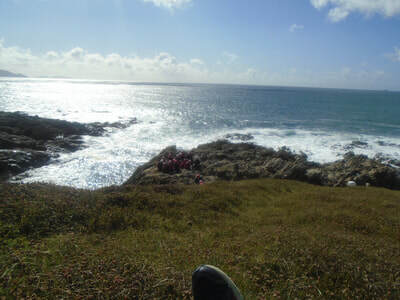 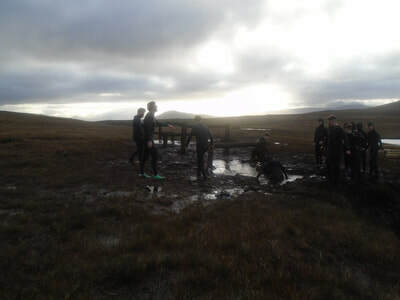 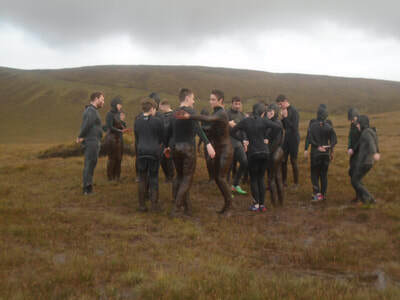 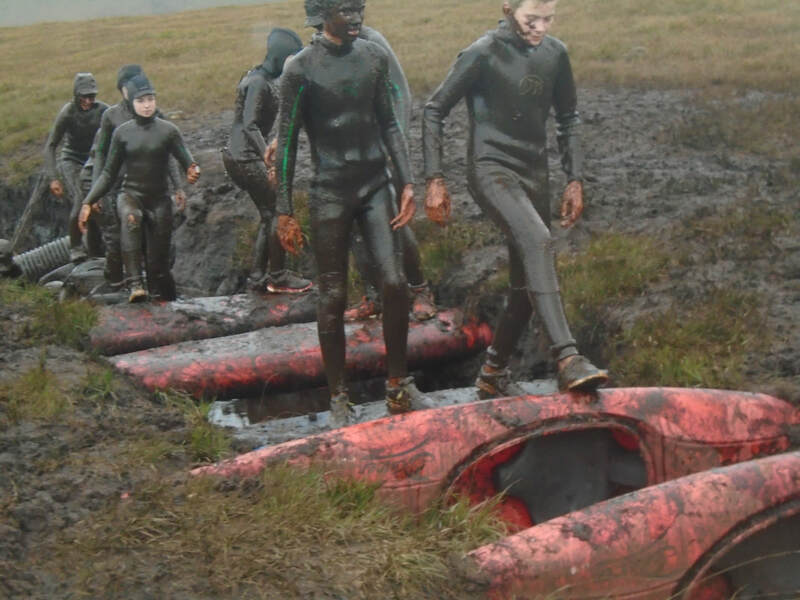 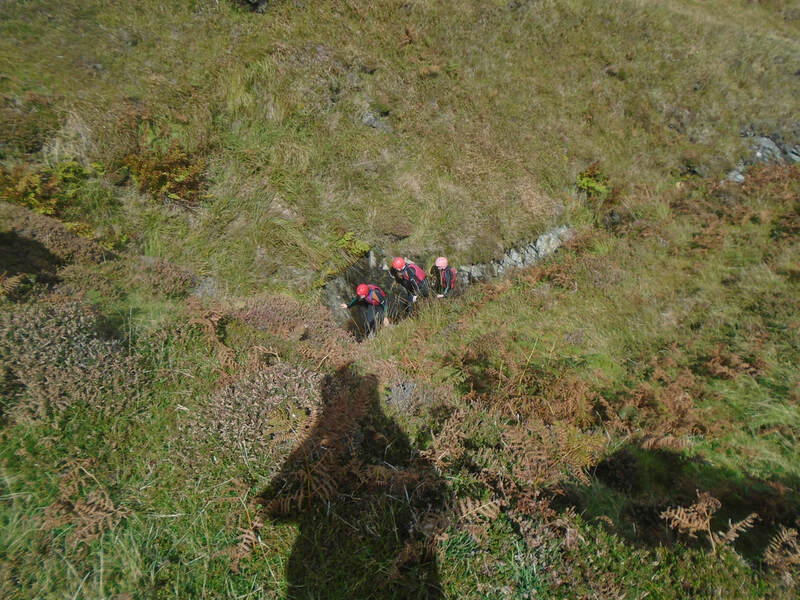 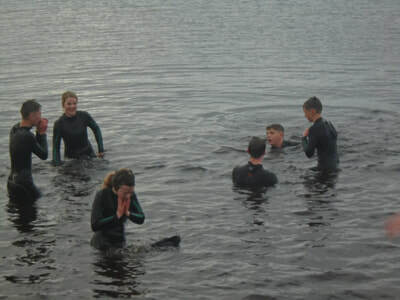 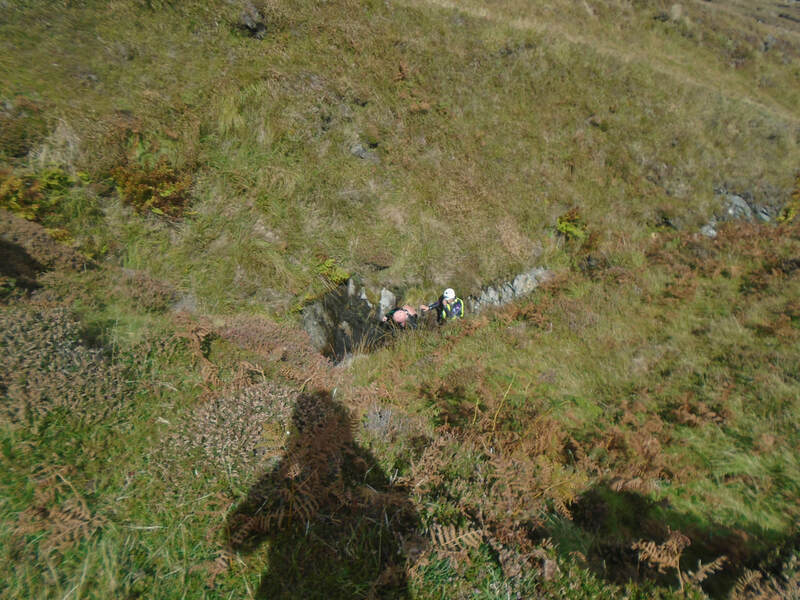 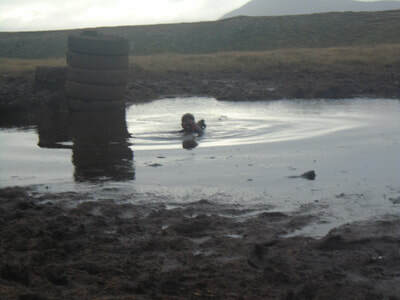 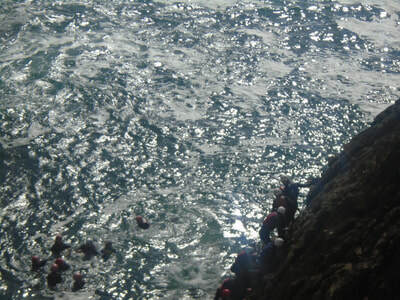 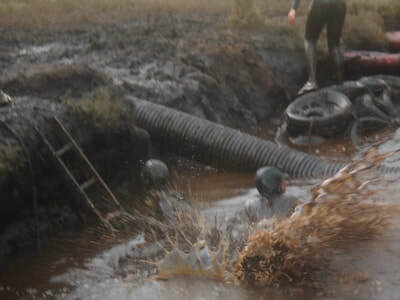 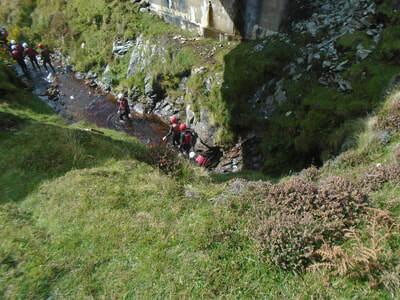 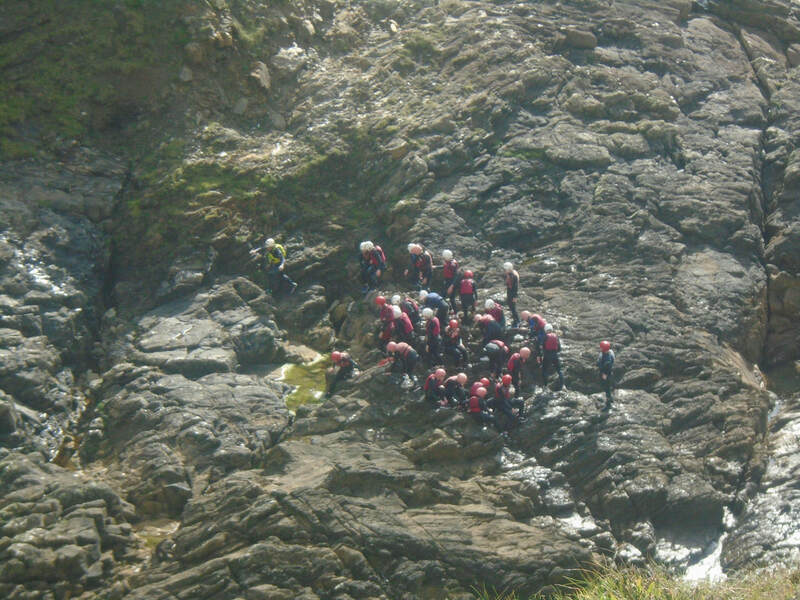 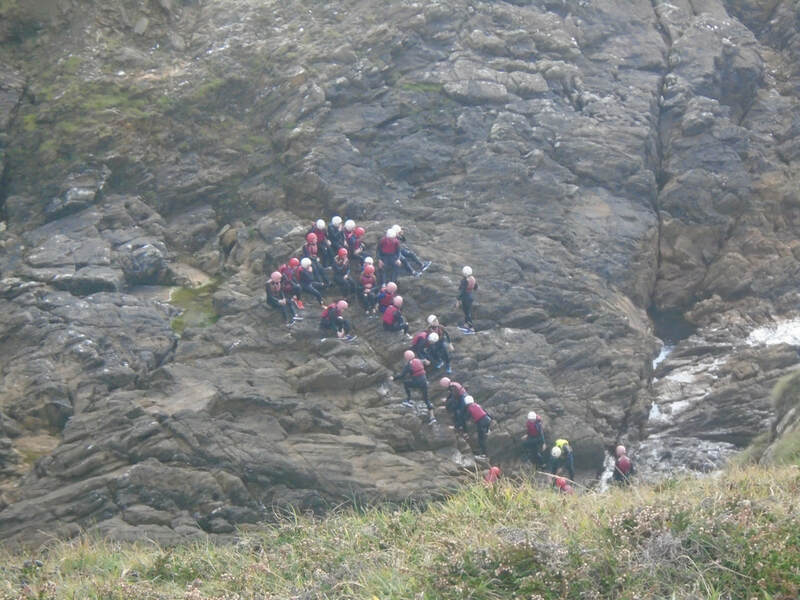 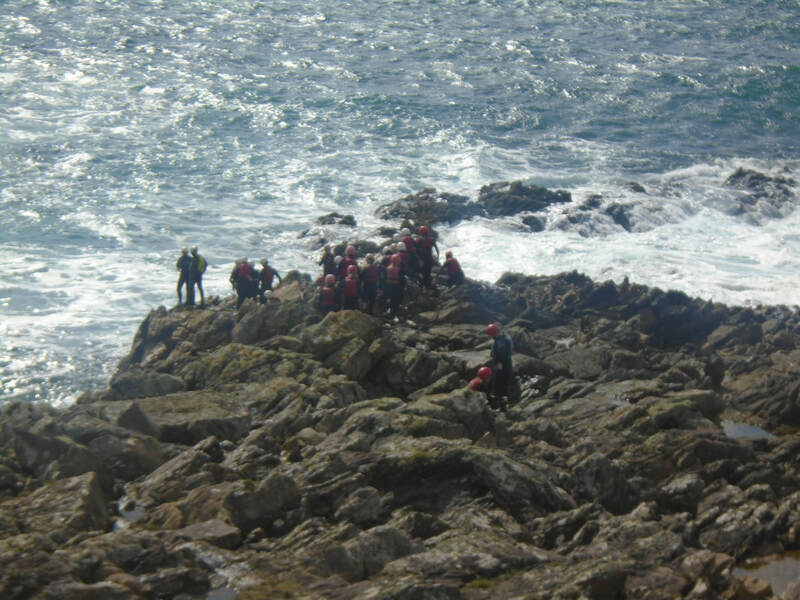 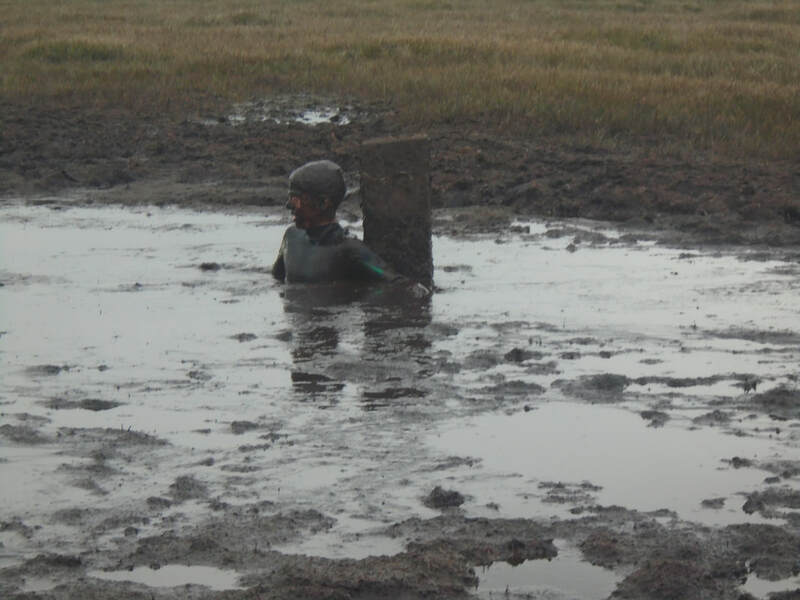 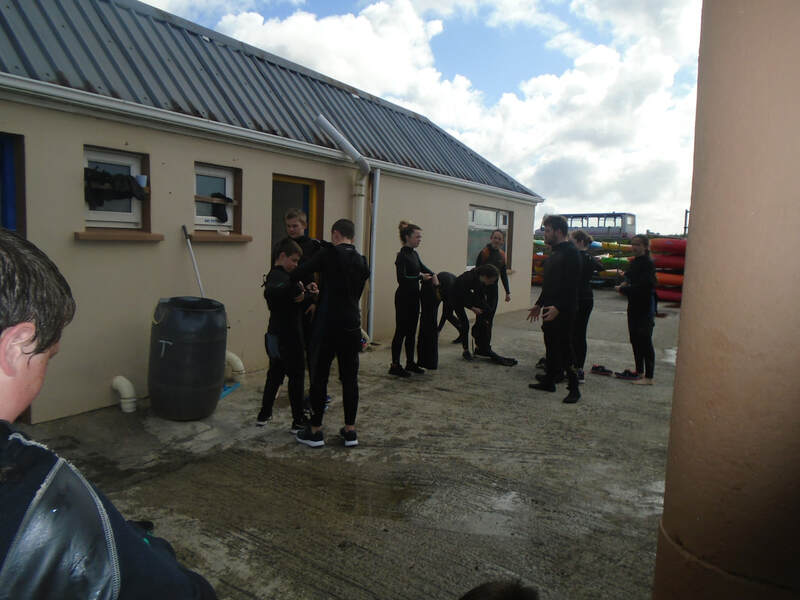 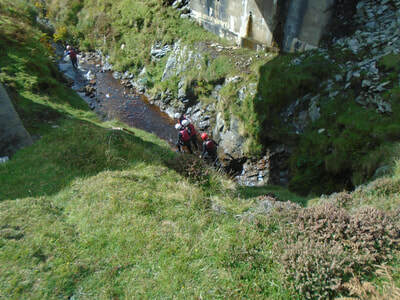 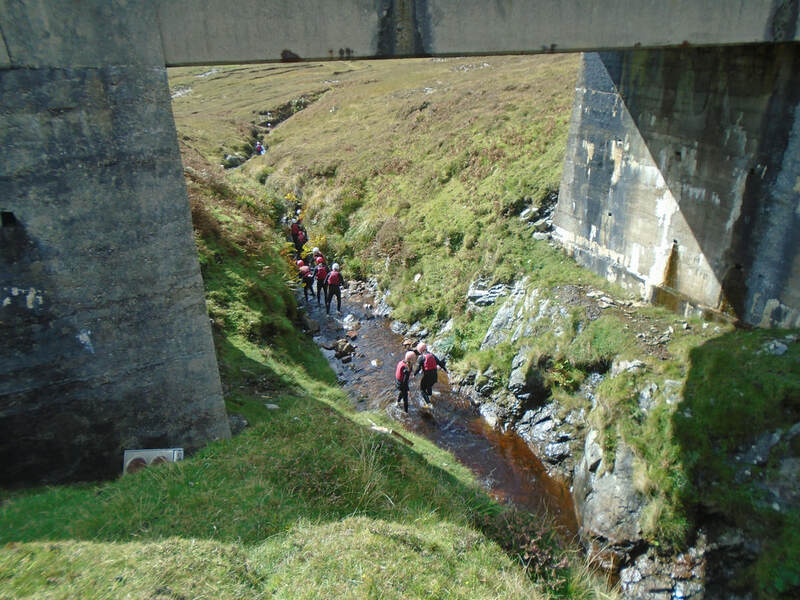 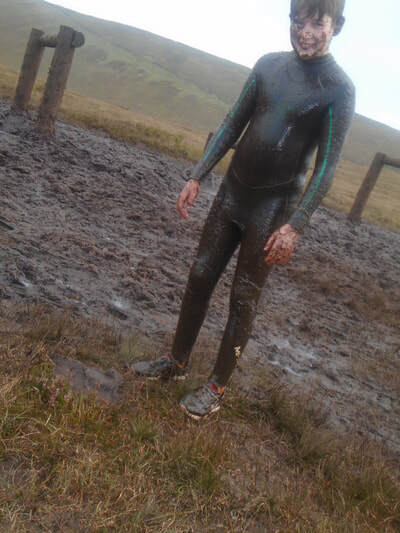 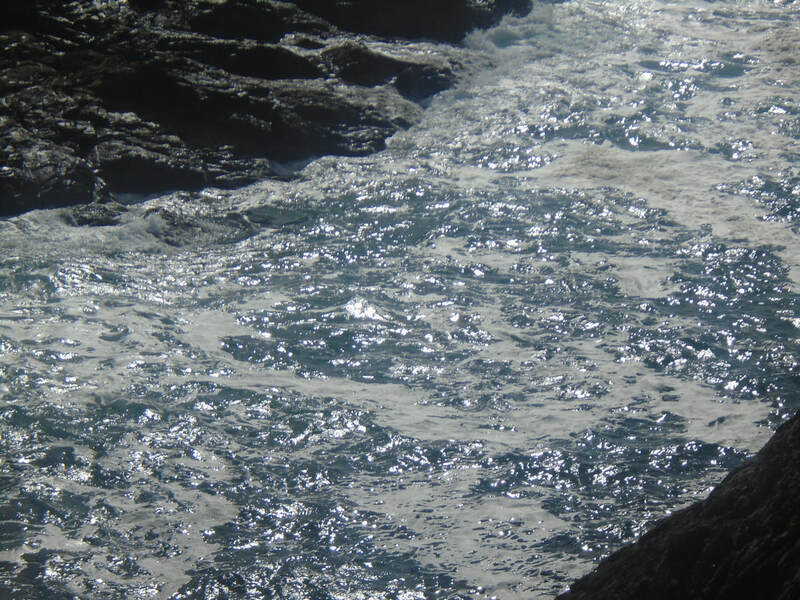 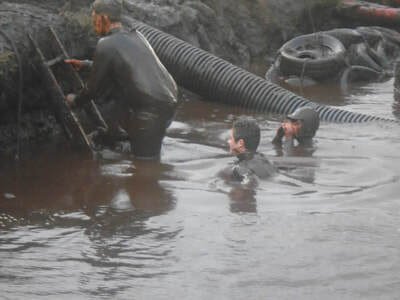 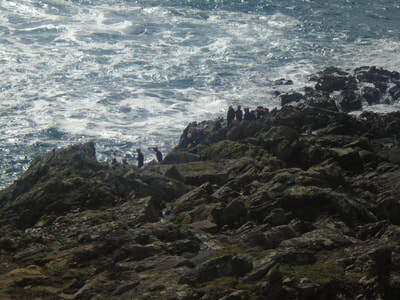 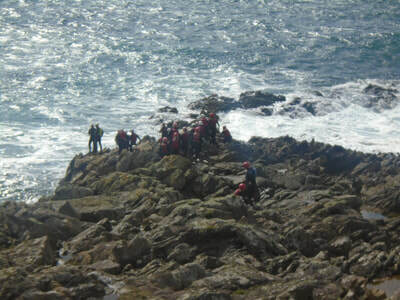 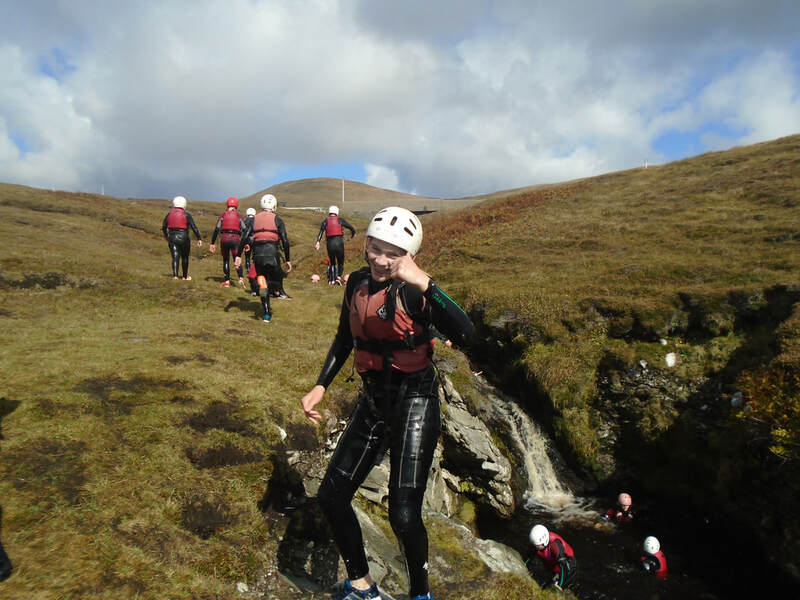 Other activities which the students took part in were cliff hanging, hiking and bog snorkelling. 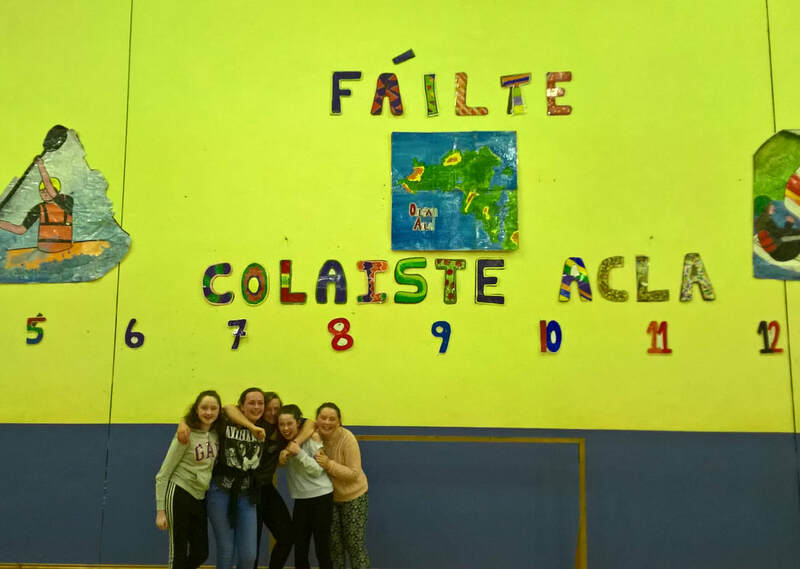 During both evenings the students showed off their dancing skills in a traditional Irish céilí. 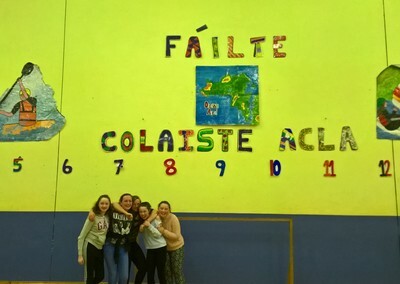 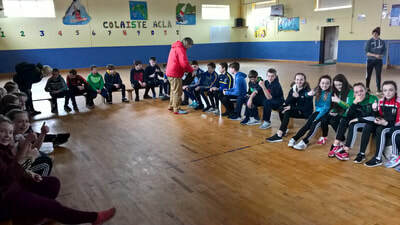 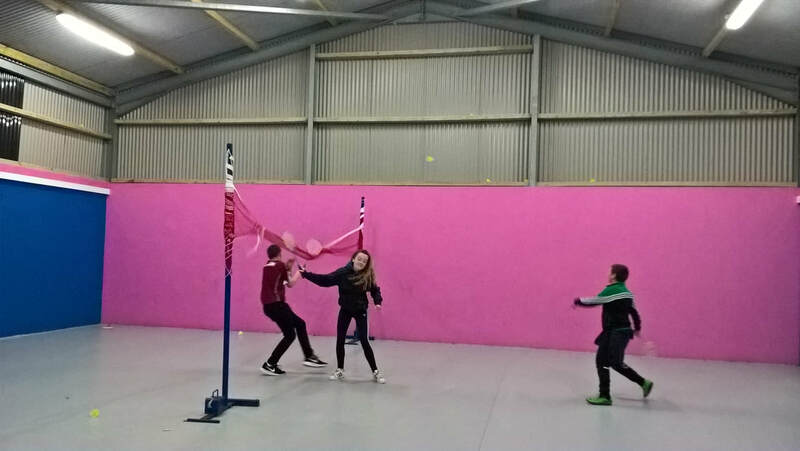 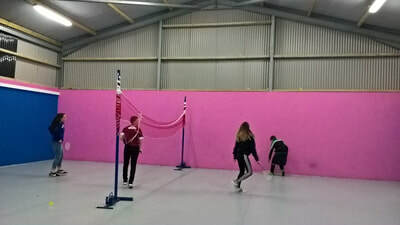 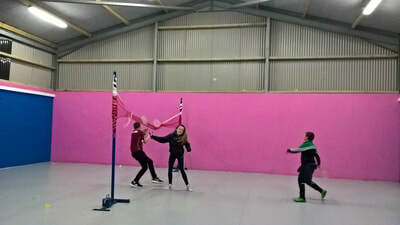 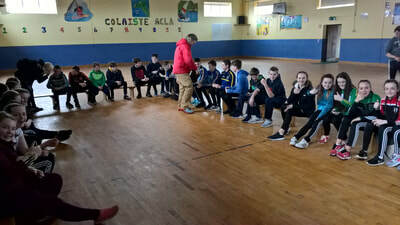 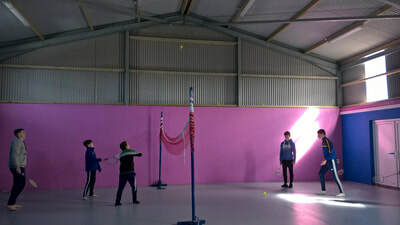 All activities were conducted through the medium of Irish and students were given lots of opportunity for caint agus comhrá as Gaeilge. 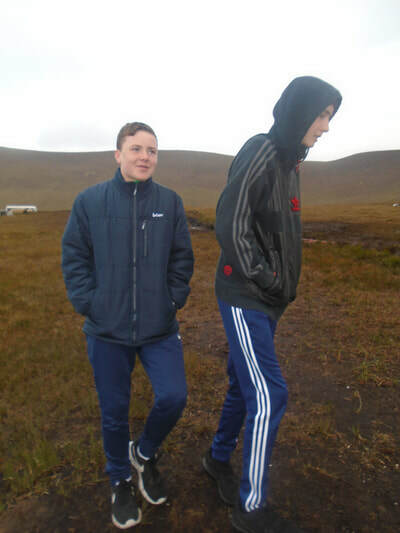 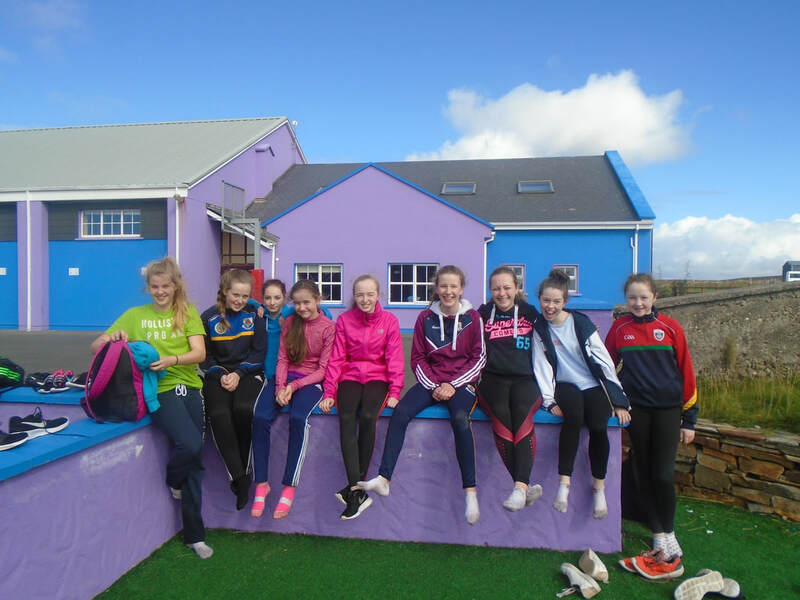 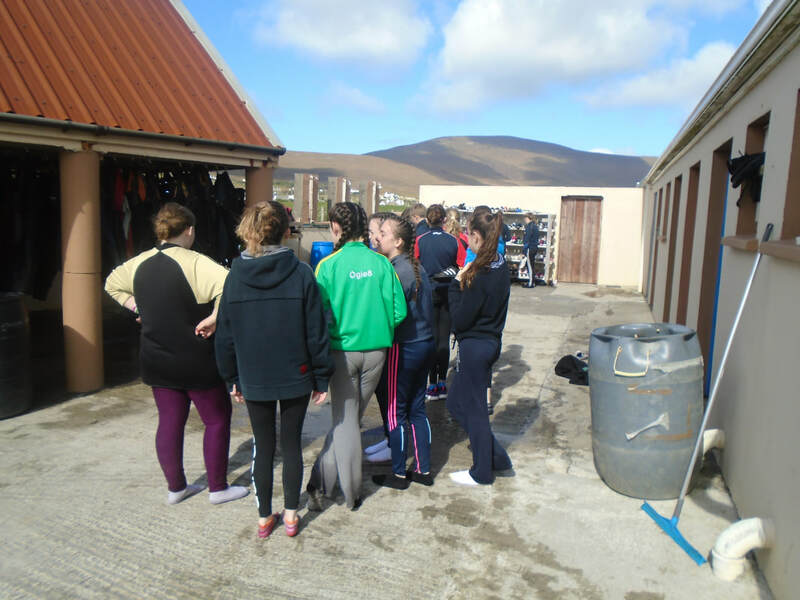 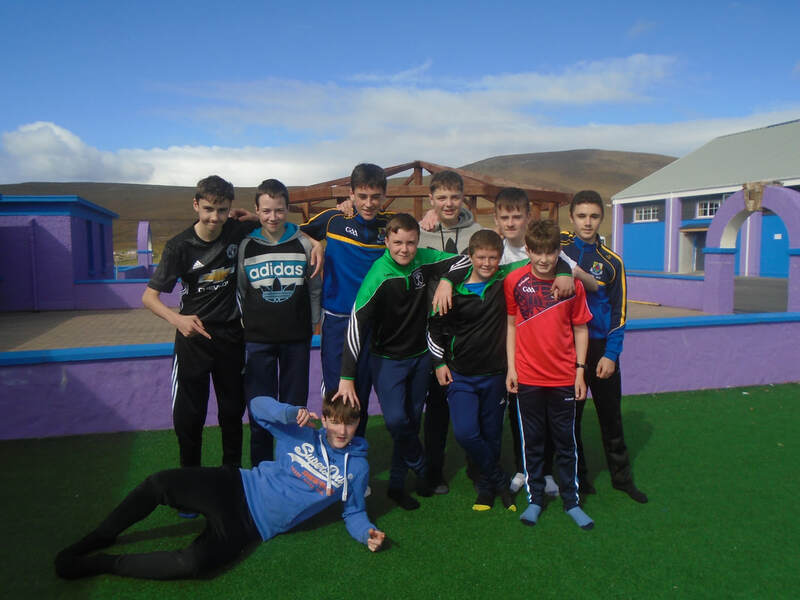 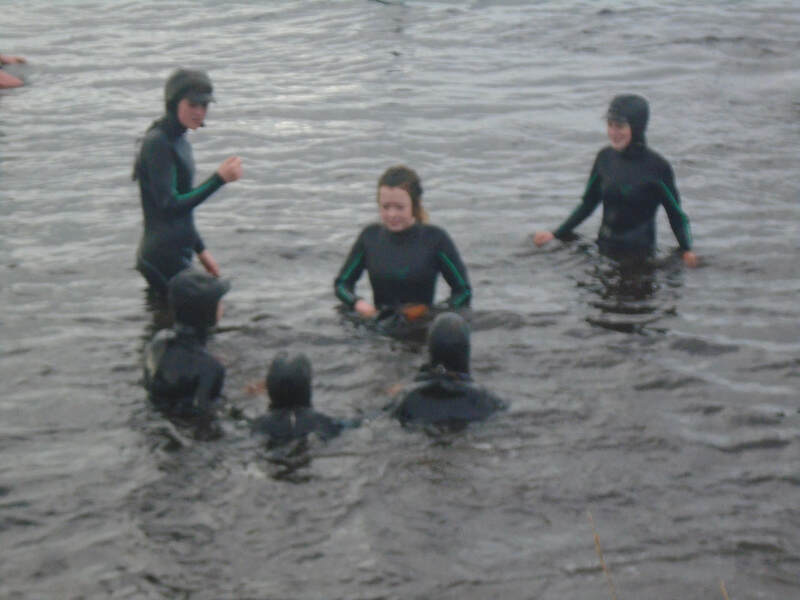 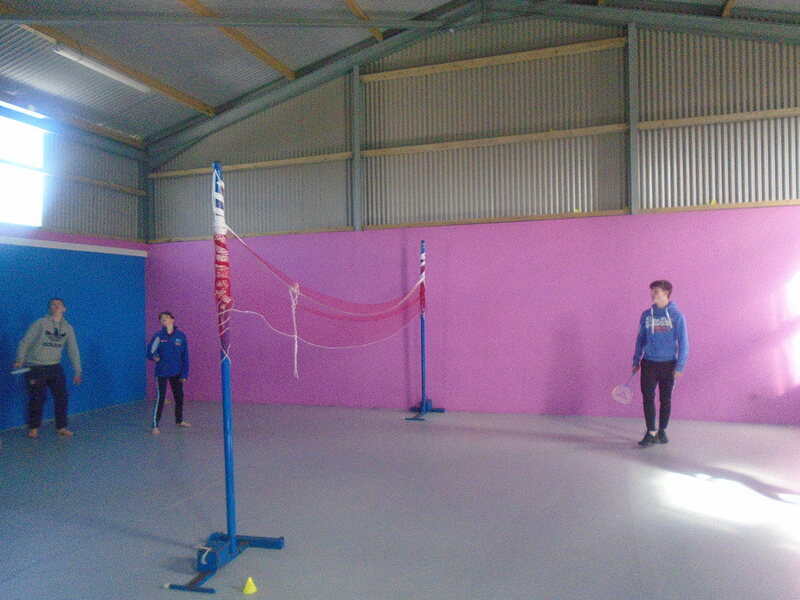 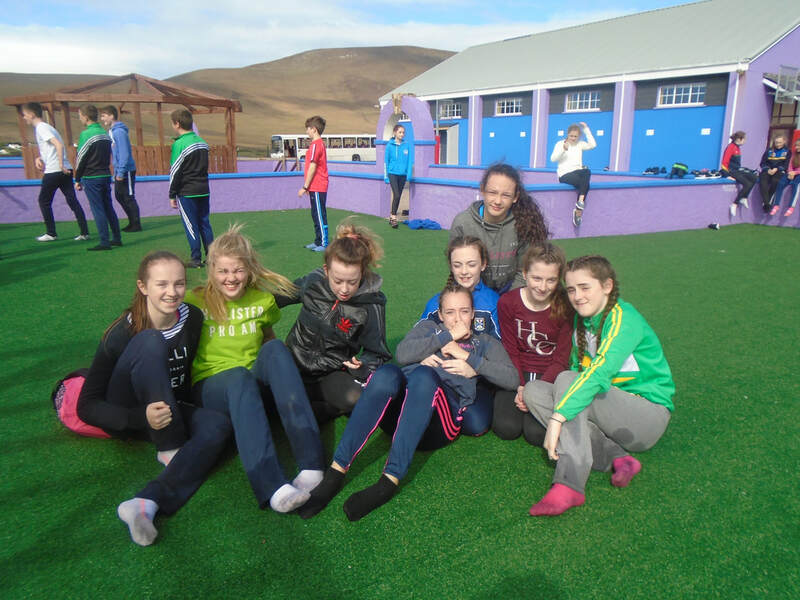 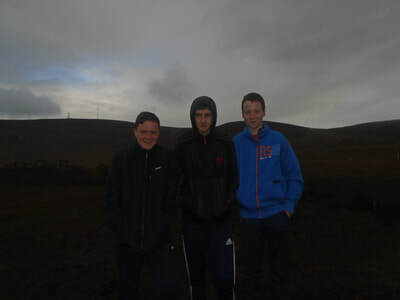 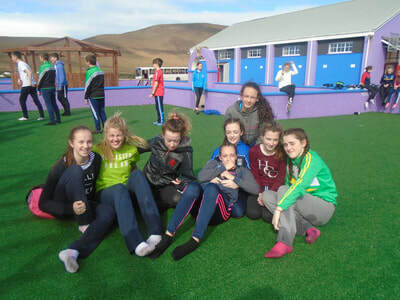 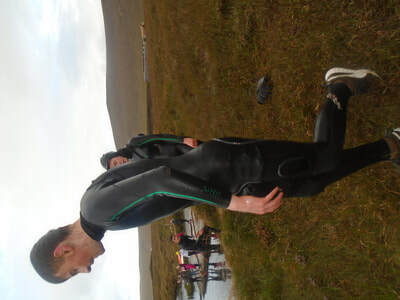 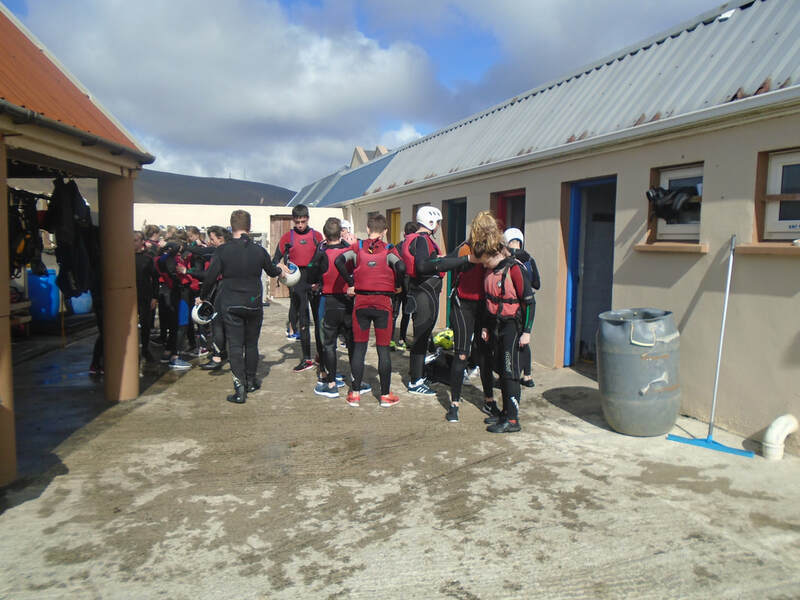 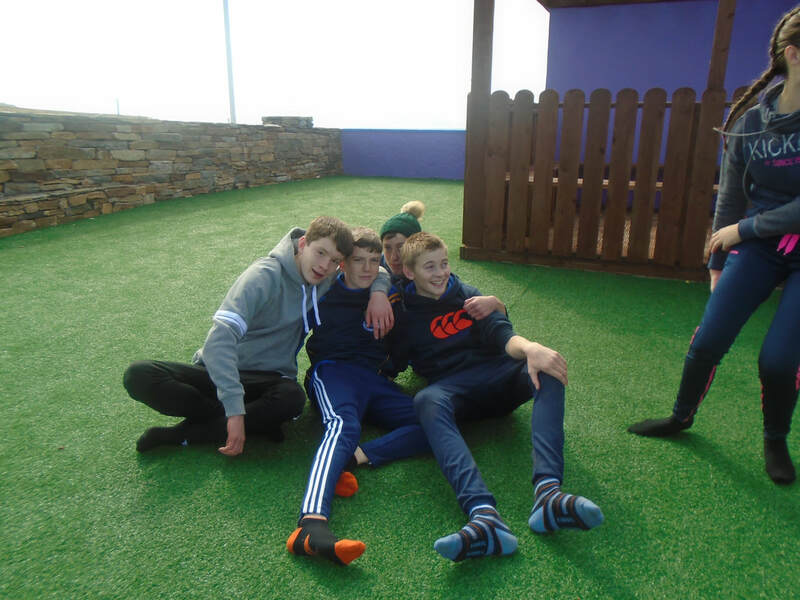 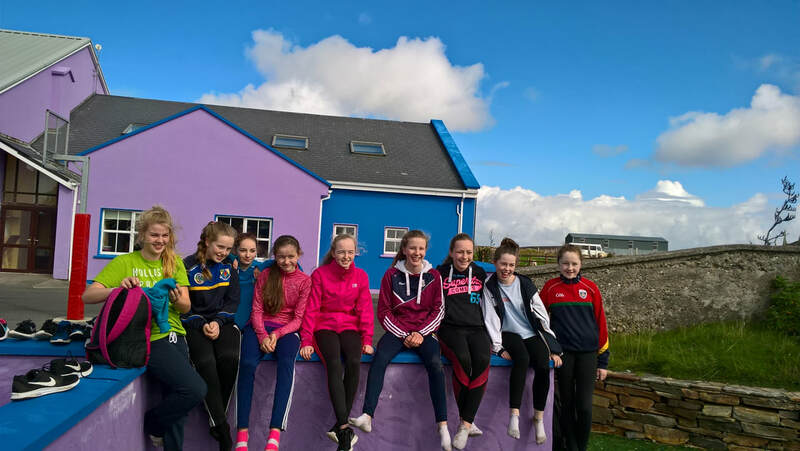 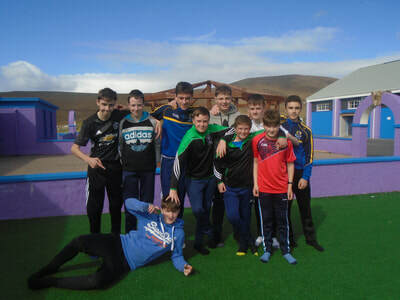 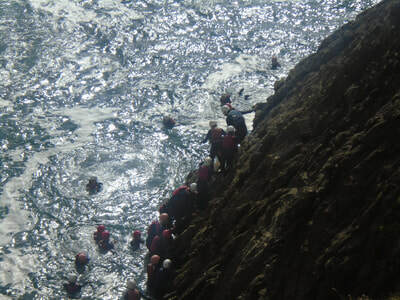 The students thoroughly enjoyed the Gaeltacht experience. 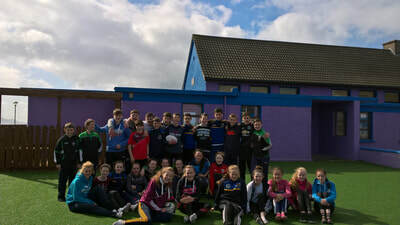 All in all it was a fantastic trip to the West!